natural anti-mosquito protection products - ESI S.p.A. Protect yourself from mosquitoes during the summer season. Mosquito bites cause itching, irritation and sometimes even infections. 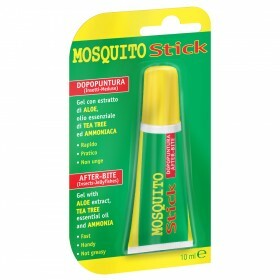 In order to protect yourself against mosquito bites without irritating your skin, you should, choose a natural, hypoallergenic and mild anti-mosquito product . ESI Mosquito Block line offers a variety of anti-mosquito products that effectively protect your skin not only against mosquito bites, but other insect bites as well. Natural, effective and enriched with essential oils, the Mosquito Block line is dermatologically tested and suitable for children.